Hey folks, It’s Survival Sunday as 5 teams fight to save their place in the EPL come next season. Birmingham, Blackburn, Wolves, Wigan and United’s opponents today Blackpool. 2 of these 5 teams join Westham in the championship division next season. Asides the guard of honour before kickoff there’s really nothing to play for from a Man United’s perspective. 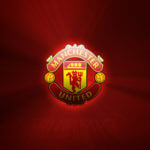 The Red Devils are the champions of the league for a record 19 times. But what’s a guard of honour when it’s not Chelsea, Arsenal or Liverpool doing it, no offense to other sides. Did I mention Chelsea? Scratch that even Aston Villa has been more successful than the London boys in terms of trophies. Back to the game, I would love for Blackpool to remain in the Premier league. 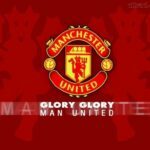 They are a good attacking side and remind me of my beloved Man Utd side. They keep attacking even when they were 4 goals down. I was hoping Sir Alex would field a weak side (Come to think of it, who are the weak players?). I doubt even if a supposed weak side would play weakly because all the players in the squad have a chance of playing in the champions league final against Barca in Wembley. They would want to give their best. Anyways the gaffer had stated he was coming out with a strong squad. My prediction for the game is seeing both sides happy. That is, Blackpool avoids relegation and Man Utd lift the trophy on their home ground. It has been an eventful season and with all honesty if I was asked in December if Man Utd would win the league I would have said NO. Our away form was the worst I had seen in recent years. It was a good thing the other sides were playing badly too. The PFA award given to Gareth Bale to me wasn’t fair on the part of players like Samir Nasri (Arsenal), Rafael Van Der Vaart (Spurs), Carlos Tevez (Man City) and United’s Vidic. United had the last laugh though, with the league title and Sir Alex named Barclay’s Manager of the year while Vidic won the Barclay’s player of the year award. Luis Nani was named the United players’ player of the year and Chicharito after an unbelievable debut season won the United fans’ player of the year award. I was sure of 2 players making the United starting XI. Van Der Saar (his final game at Old Trafford) and Berbatov (on the verge of becoming top scorer in the league). What happened to resting key players for the Barca game? Sir Alex fielded a side that could easily win the league with Van Der Saar, Rafael, Vidic, Evans, Evra, Fletcher, Scholes, Anderson, Nani, Berbatov and Park making the starting line up. Blackpool came to town with their best possible squad with Charlie Adam leading the line. The 1st half started with Blackpool coming close to scoring with less than a minute played. From that moment United took control of the game. The Red Devils also came close a couple of times with Berbatov missing clear cut chances. J.S Park eventually gave Man Utd the lead in the 21st minute after receiving a good pass from Berbatov. Both sides played beautiful football though Man Utd had most of the chances. Blackpool finally got a deserved equaliser from a lovely Charlie Adam freekick in the 40th minute. Blackpool at this stage were looking like they would be beating the drop with other results going their way too. The 1st half ends 1-1 and this is the 1st time Man Utd would concede a goal in the 1st half of any league game at Old Trafford since April last year. Chris Smalling comes on for Rafael before the restart. The 2nd half started with Blackpool being the more purpose driven side. Charlie Adam almost scored another free kick but Van Der Saar was up to the task with a fine save. The way the Tangerine boys were playing you would know they were going to score United in no time and yes they did. Taylor-Fletcher put them ahead in the 57th minute. Owen comes on for Park. The game wore on with Blackpool still the better side but a few seconds of brilliance brought United level with a sublime shot from the edge of the box by Anderson beating Gilks in goal for Blackpool. Game on though Blackpool still had other results going their way at the moment. United took control of the game and got a goal. It was an own goal. Blackpool were on the brink of relegation at this point and needed to step up their game if they were to survive. At this stage I was thinking Berbatov was cursed. He still could not find the net. United obviously were not smiling. They got another goal through Owen. This guy has still got that goal scoring touch no doubt. A beautiful finish from the veteran. At this juncture Blackpool were relegated. If Berbatov was African, I would say his mother’s people were on his case spiritually. I simply can’t count the amount of chances he missed. If Chicharito was in the game he would have buried all those chances and probably be named top scorer. Luckily for Berbatov he was top scorer along with Tevez. 2 golden boots would be given out. The game ended 4-2. To be fair Blackpool didn’t get relegated losing today, they were relegated because they lost games before this. My prediction of Blackpool staying in the EPL was obviously wrong. Man of the match for me was Charlie Adam of Blackpool. Birmingham will join Blackpool and Westham in the championship next season with Wolves, Wigan and Blackburn staying in the premier league. The Red Devils were finally handed the Premier league trophy. 19 league titles and counting. Liverpool and Arsenal catch Man Utd if you can.